IT’S CONTEST TIME! 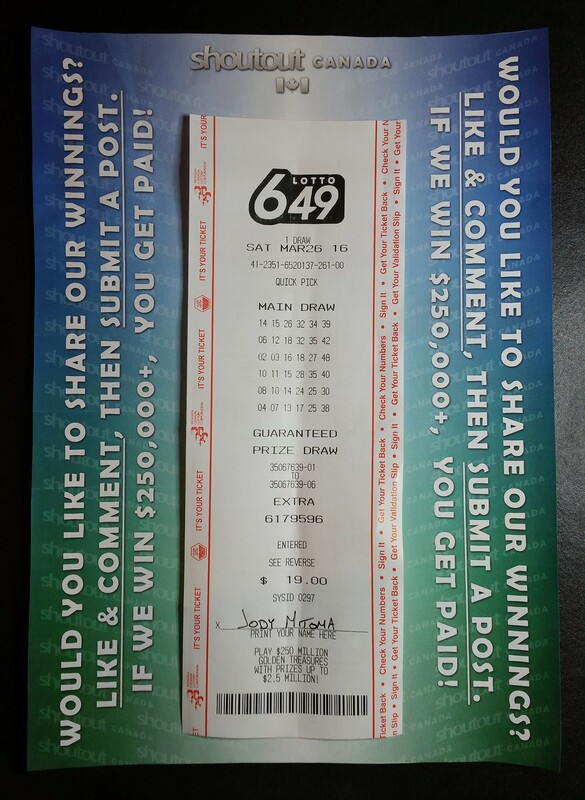 — I’ve got $19 worth of tickets for the March 26, 2016 (today’s) Lotto 649 draw (Jackpot estimated at $5 million), and if I win, YOU win! ✳ TO ENTER >> all you have to do is LIKE & COMMENT on this post, then SUBMIT A POST to this page via private message. ⚠ DO NOT submit a post regarding this lotto draw (“I hope we win”, “Good luck in the lotto everyone”, etc. ), or how nice of a day it is… BE CREATIVE… A positive addition to this community.